First and foremost, there is a Guild Hall in every town. These halls give and receive contracts from all over the world. These contracts may be anything from gathering special mushrooms to hunting an Elder Dragon. A hunter may choose to go alone or with friends. The Guild however restricts a party of no more than four. They place this rule to make sure everyone has a fair chance of getting a partner or if a famous hunter gets hounded by adoring fans demanding an autograph and they scare off his hunt. 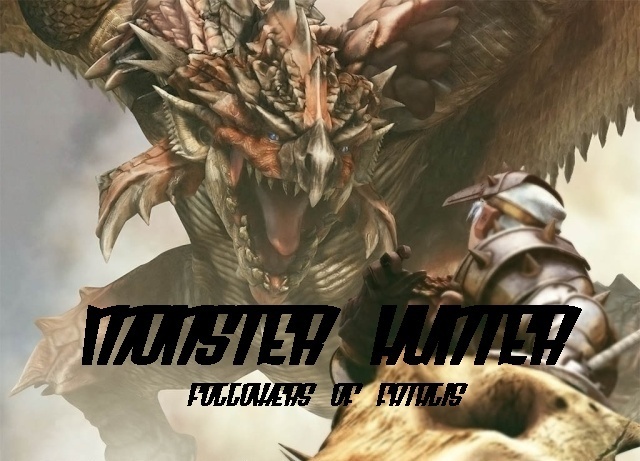 When hunting monsters, a RPer by the name of "monsters" will assume the role. all admins have access to this profile. Second off, if a hunter cannot find a contract they want they can go on a special generalized type of quest called a "Gathering Quest." These quests allow a hunter to do whatever they want in the environment. After the hunt, record your kill into your bio. Based on your kill count Admins will award you the choice of better weapons armor or both! Storyline critical steeds or equipment cannot be taken.